Xcalibur W is able to display device data you care about. 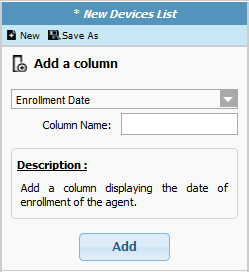 By using the Devices List Settings Tab, you can create new views, add & remove Columns or Filters. You can then elect to share your customized views with other users. 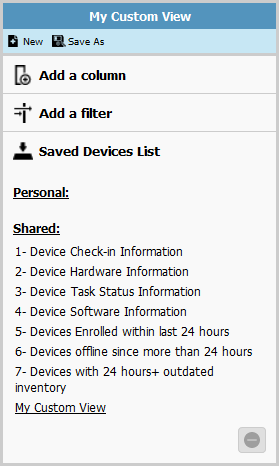 The Devices List Settings window is available by right-clicking on the corresponding Tab. 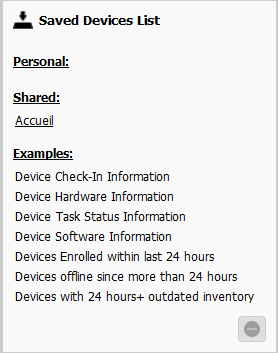 For example purpose, Xcalibur W comes within built-in examples of device lists. The intent is to show how columns and filters can be used to provide the data you care about. You may want to modify these examples to fit to your needs. 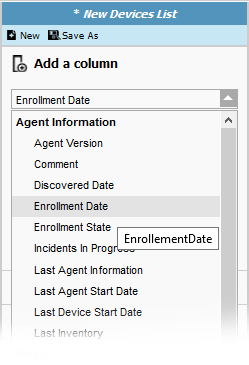 You can easely select new data to add to the view using the Add Column dropdown menu. Once selected, the new item will be added automatically to the view. You can then choose to move the column to a different location. 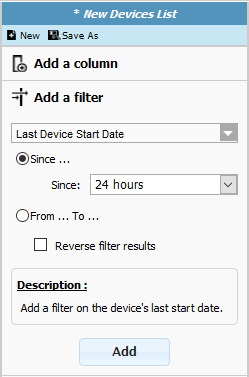 For filtering purpose, you might want to select the item to filter on using the Add Filter dropdown menu. 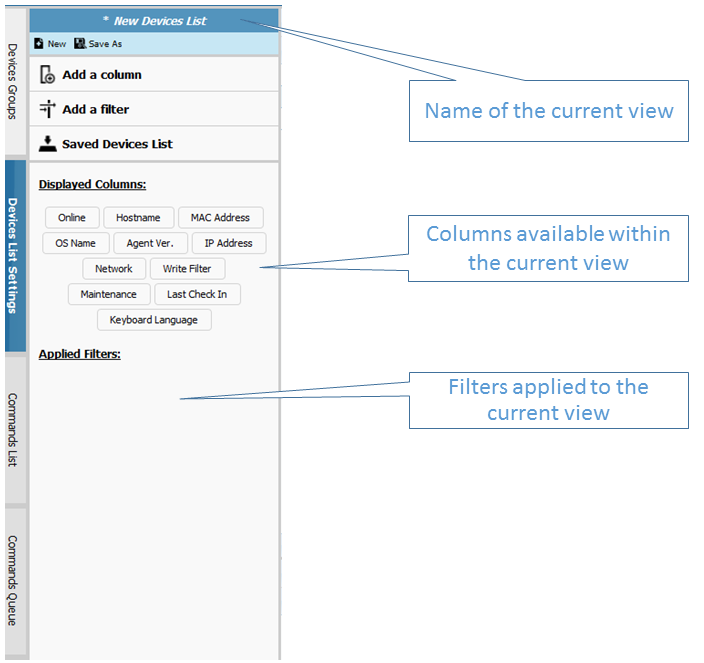 Once selected, the filter will be applied automatically to the view and will displayed in the Applied Filers section. At any time, you can reload the Xcalibur W default view using the button. If you are satisfied with a newly created view, you can then choose to save the view using the so that it becomes available whenever you connect to the server. The view can be kept as Personnal (i-e only available for you) or as Shared (i-e available for any user).